Oprah is making waves with a new trailer for her upcoming movie A WRINKLE IN TIME. 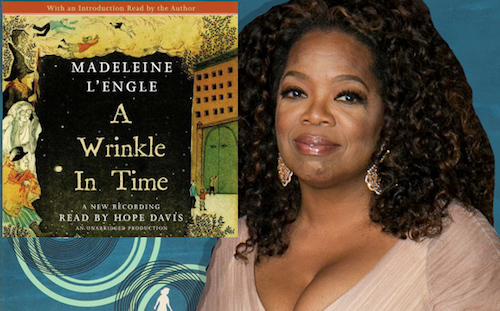 This special edition of A Wrinkle in Time, on which the movie is based, includes a new essay that explores the science behind the fantasy. Rediscover one of the most beloved children's books of all time: A Wrinkle in Time by Madeleine L'Engle: Meg Murray, her little brother Charles Wallace, and their mother are having a midnight snack on a dark and stormy night when an unearthly stranger appears at their door. He claims to have been blown off course, and goes on to tell them that there is such a thing as a "tesseract," which, if you didn't know, is a wrinkle in time. Meg's father had been experimenting with time-travel when he suddenly disappeared. Will Meg, Charles Wallace, and their friend Calvin outwit the forces of evil as they search through space for their father? 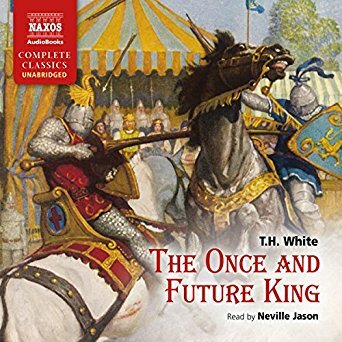 Narrated by actress Hope Davis in audiobook format. 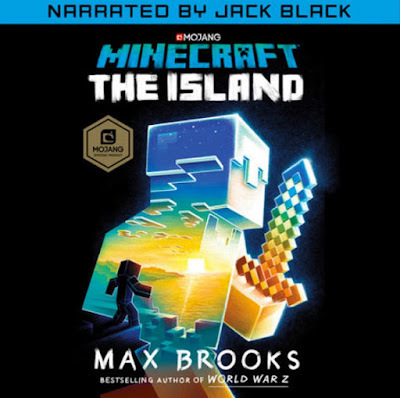 In other news, Jack Black narrates MINECRAFT: THE ISLAND by Max Brooks, another young adult audiobook must hear. Washed up on a beach, the lone castaway looks around the shore. Where am I? Who am I? And why is everything made of blocks? But there isn’t much time to soak up the sun. It’s getting dark, and there’s a strange new world to explore! The top priority is finding food. The next is not becoming food. Because there are others out there on the island . . . like the horde of zombies that appear after night falls. Crafting a way out of this mess is a challenge like no other. Who could build a home while running from exploding creepers, armed skeletons, and an unstoppable tide of hot lava? Especially with no help except for a few makeshift tools and sage advice from an unlikely friend: a cow. In this world, the rules don’t always make sense, but courage and creativity go a long way. There are forests to explore, hidden underground tunnels to loot, and undead mobs to defeat. Only then will the secrets of the island be revealed. Why Jack Black? Who better. Not only was he in School of Rock, but Gulliver's Travels. Max Brooks is a bigger surprise. 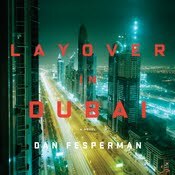 He is author of World War Z! 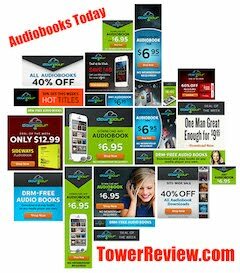 Click on titles to hear samples and to order.